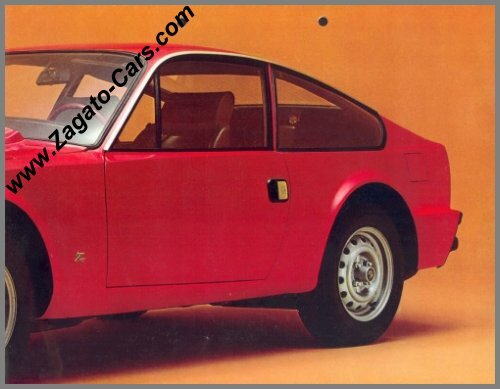 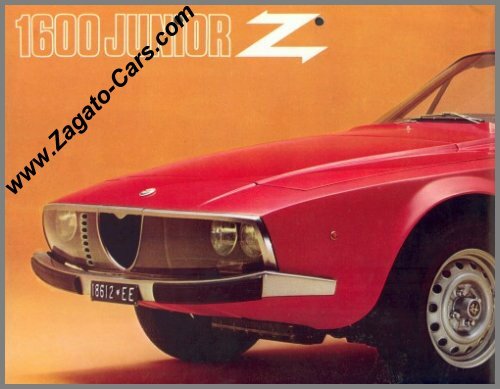 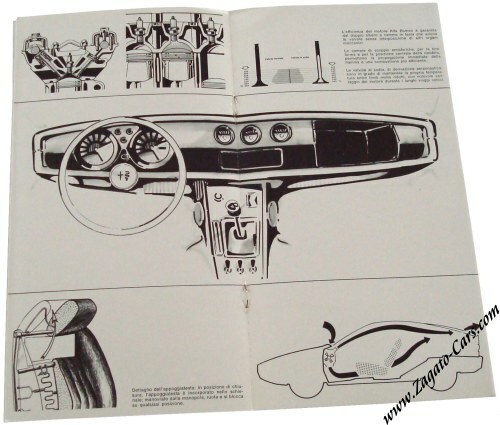 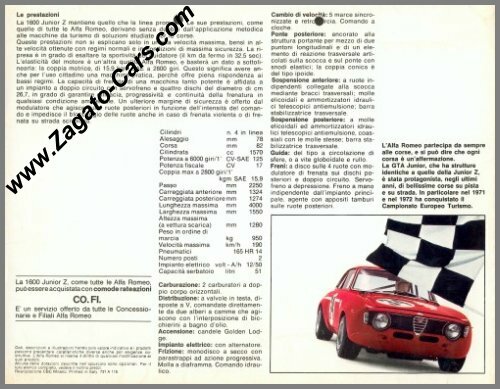 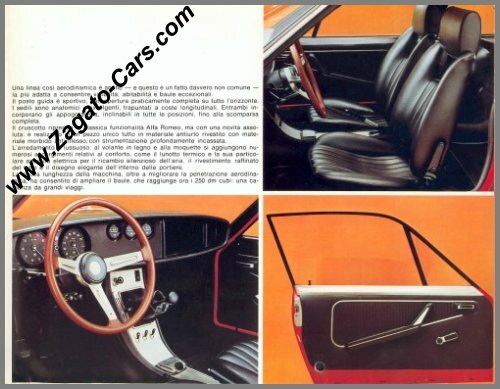 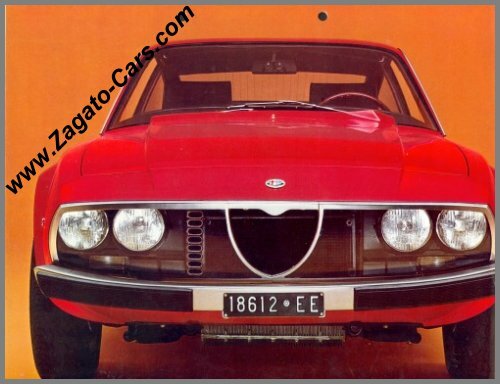 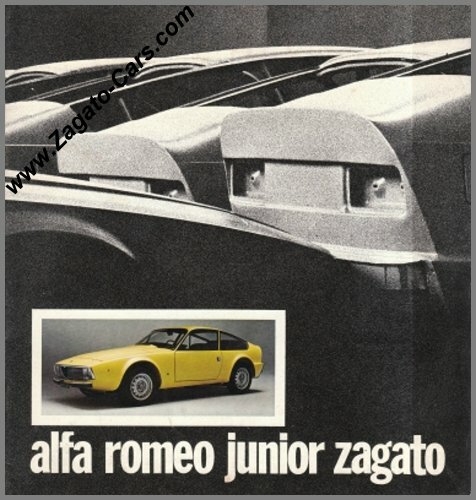 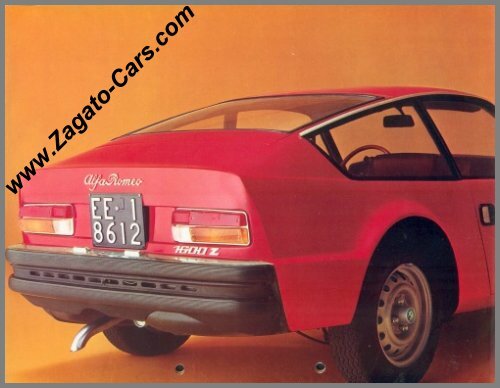 At the introduction of the 1300 JZ, Alfa had not yet produced a dedicated brochure for the car and used a reprint of the Style Auto article which appeared earlier. 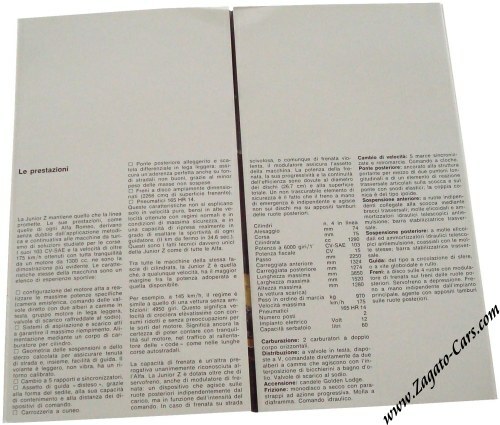 The brochure is a narrow and tall booklet of ca. 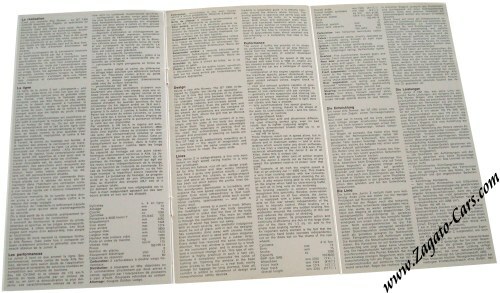 5.9 x 11 inches and folds open to a maximum of 4 panes. 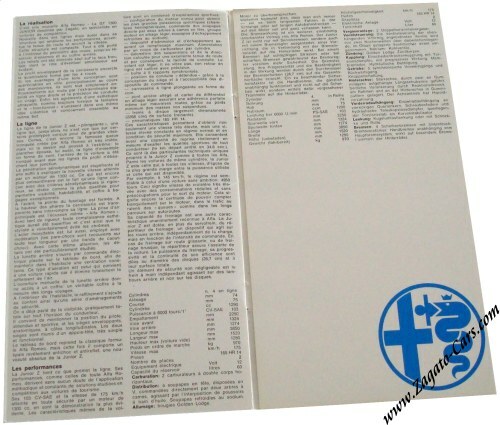 It contains written information on the 1300 as well as the original design drawings and printed press photo's. 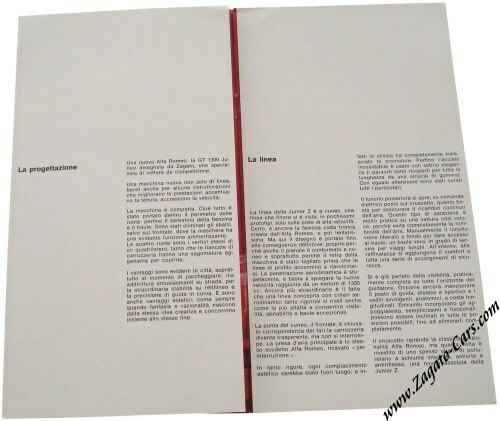 Following are photographs of the individual pages in the sequence as you would see them when working your way through the different "panes". 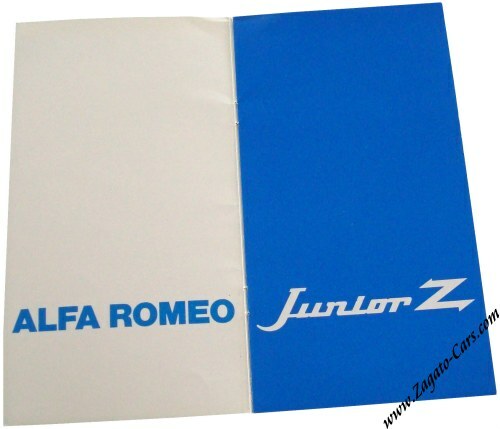 Alfa Romeo 1600 Junior Z Sales Brochure. 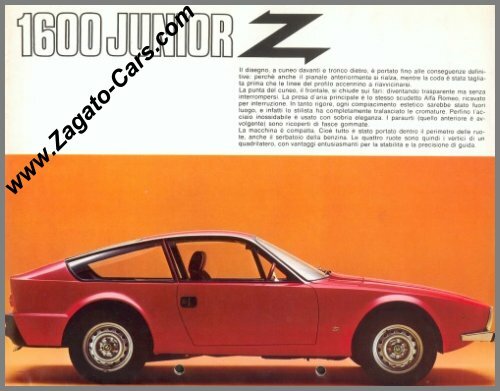 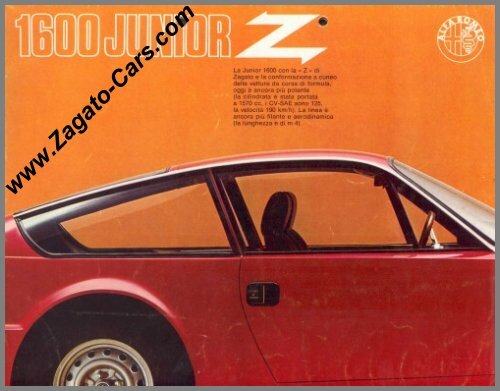 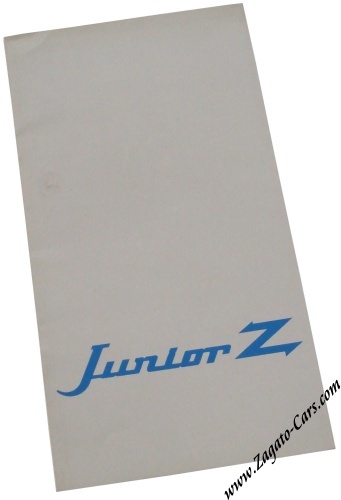 The 1600 Junior Z Brochure is basically a large-size fold-out sheet.